If many devices have been connected with your WiFi connection, then it might slow down the internet speed on your device. Sometimes, you can not directly say others to disconnect to your WiFi or can’t change the password. In this scenario, limiting the internet speed of other devices connected to your WiFi is the best option. So, How can you limit the internet speed of other devices? There is no need of installing any third party software. You can limit the bandwidth of devices from the Router settings and from Command Prompt. It’s a matter of steps only. Let’s see how to Limit Internet Speed of Devices Connected to your WiFi? Let’s see a detailed guide on both methods. Step 2: It will show the Login page. Insert your password into it. Step 3: After entering the password click on Advanced option on the next page. Step 4: Go to the DHCP Client List option to find the clients connected with your internet. Step 5: Copy the IP Address of client whose internet you want to restrict from your system. Step 6: Now tap to QoS, and then Bandwidth Control found at the left column of the page. Step 7: Check the Enable box to activate the Enable Bandwidth Control segment. Step 8: Next, paste the IP Address you copied earlier and choose Download from Upload/Download field. Step 9: Then insert your desired Bandwidth range speed to limit net Speed connected to Wifi of the desired client. Step 10: Tap on Add to List. Step 11: Lastly, click on OK to save the limit range for the selected device. Step 1: Go to the browser and enter router IP http://192.168.0.1 or http://192.168.1.1 as per your router provider. Step 2: When asked for your credentials log in with your details and password. Step 3: Click on the DHCP setting tab. 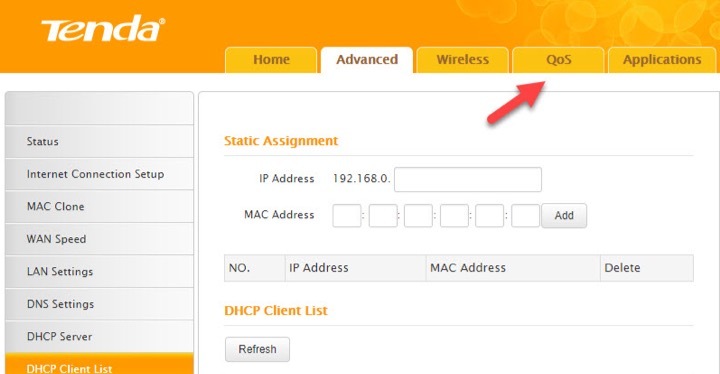 Step 4: On that page, you will view the option called “DHCP Client List.” In that list, you can see all the devices connected with your Wi-Fi router along with their IP Address. Step 5: Then copy the IP Address whose bandwidth you want to limit. 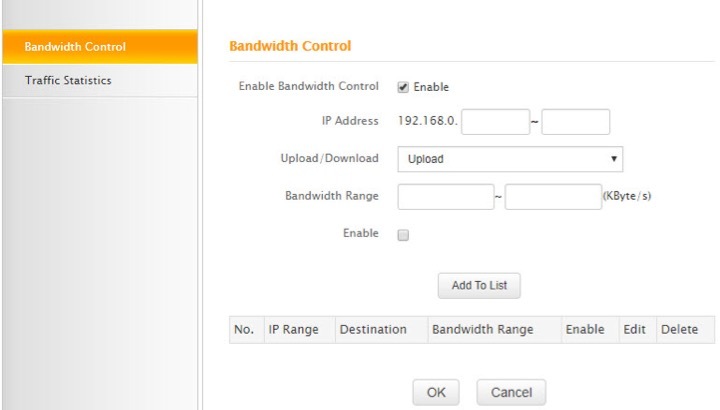 Step 6: Afterward, go to the Bandwidth Control Settings for adjusting bandwidth. Here paste the IP Address you copied in the above step. Step 7: Now adjust the Ingress and Egress Speed to lower speed of devices by Wifi. Step 8: Tab on Save button. Leave other sections blank. Additional tip: If you limit the Single IP Address then the device with that particular address will receive provided bandwidth range but if you choose IP Address Range all the connected devices will share the provided bandwidth. Step 2: Insert your credentials on the page to login. Step 3: Next, go to Status and then Client Table option at the left of the page. Step 4: Locate the Client List from the Active Client Table and copy the IP Address of the user whose internet access you want to restrict. Step 5: Then go to Advanced option and click on Traffic Control. Step 6: Afterward, tap on Add to paste client IP address you copied before. Step 7: Also, add the bandwidth limit you want to provide in Up Floor and Down Floor options. Step 8: Hit on Add Rules to save the settings. Step 1: Type “cmd” in the Start button search bar. Step 2: Then tap on the result from the Start Menu. Step 3: Type “getmac /v” in the command prompt panel. Step 4: Hit the “Enter” key on the keyboard. Step 5: Find the MAC address which is in the 12-digit hexadecimal format listed after Wireless Network option. Note that address. 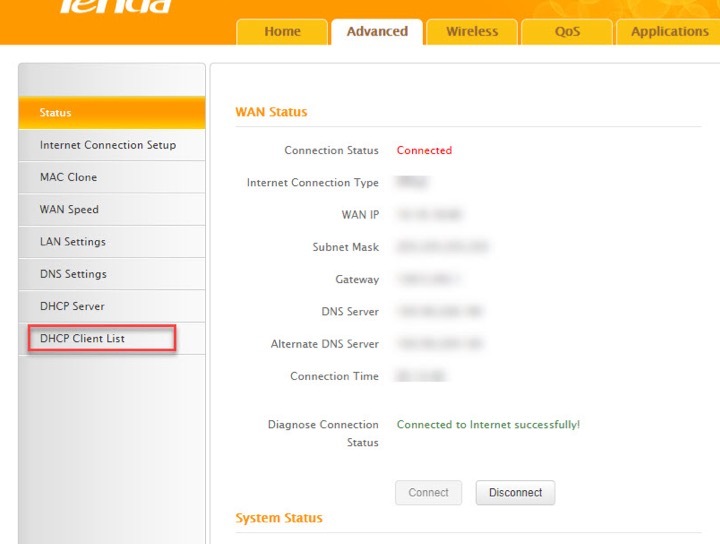 Step 6: Go to the browser and enter router IP 192.168.1.1 or 192.168.0.1 as per your router provider. Step 7: Insert your credentials to log in. Step 8: Then locate the wireless MAC filtering configuration page. Step 9: Type the noted down computer’s MAC address into the text bar. Step 10: Tap on “Add” or “Save” option for limiting wireless Internet access to just a selected number of devices. Finally, reboot the router. And you’re done!